Trainer Colin Tizzard is once more dreaming of glory on Boxing Day with his superstar chaser Cue Card in the King George VI Chase. 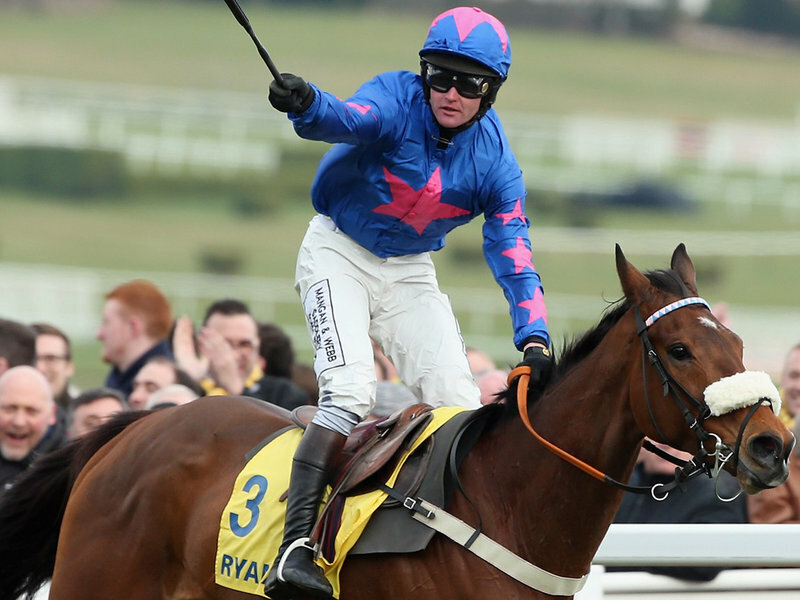 Kempton is now the prime target for the £1m Bonus-seeking Cue Card team after his emphatic success in Haydock's Betfair Chase confirmed that one of the most popular horses in training retains all of his ability despite now rising 11-years. His trainer was positively revelling in the fact that Cue Card will dominate the headlines this year again as the only horse left in the horse racing betting for the JCR Triple Crown by virtue of his victory on Merseyside. Even the most ardent of Cue Card fans – and there are many – must have been experiencing some doubts when he failed to deliver on his first start of the season at Wetherby. To his eternal credit, Tizzard raised his arm and took the blame for that sub-par performance squarely on the chin. The Dorset handler revealed it was on his say-so that jockey Paddy Brennan forged for home earlier than might have been predicted in that race, with Cue Card ultimately picked off by the late surges of Irish Cavalier and Menorah as he finished a tired third. The same mistake was not going to be his undoing a second time come Haydock. There, Brennan sat back and allowed 2015 Cheltenham Gold Cup hero Coneygree to set the pace. When the time was right, Cue Card arrived on the scene a fresh horse ready to ask serious questions of a rival that hadn't run for 13 months. Understandably, Coneygree did not have the answers and so it was Cue Card that raised the roof as he landed the ninth Grade One win of his outstanding career. Tizzard is now dreaming that number could rise to 11 by mid-March and Cheltenham but that will prove no easy task. 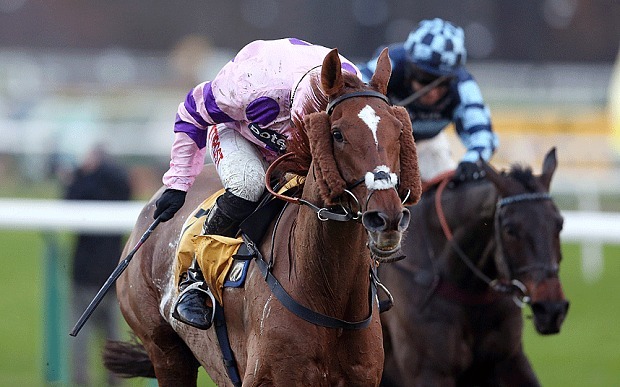 First up is Kempton on Boxing Day where he could meet a sharper version of Mark Bradstock's pride and joy. The Coneygree team are set to give Leopardstown and the Lexus Chase some consideration, in the hopes that the Foxrock track might present an easier option. For Cue Card the scale of task in completing his treble target is emphasised in the fact that just one horse – the mighty Kauto Star – has managed the feat before. Plenty of conjecture remains though about just how well he and Brennan were travelling before they crashed out three fences from home in the Cheltenham Gold Cup back in March. Would he have emulated King Kauto on that occasion but for a fall or would Don Cossack have had his measure? An imponderable question but, for now, the dream is back on for the Tizzard's and their shining star. Should Coneygree head to Ireland for Christmas, Cue Card's Kempton task could be much more straightforward, unless Willie Mullins and owner Rich Ricci conjure up a plan to unleash the unbeaten Douvan over three-miles. Many amongst the racing public will be joining Tizzard in hoping that this particular Card can deliver over Christmas.